I like for my birds to have plenty of air. So when I have to close them up they don't feel too hot. In the winter, they can get close for warmth and we will put tarps over the front if it is too windy but in the summer, they need lots of air at night for comforatable sleeping. Two coops, side by side. They used to be horse stalls. The end of my barn. 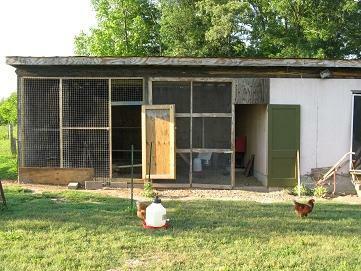 You can see the two coops are side by side. 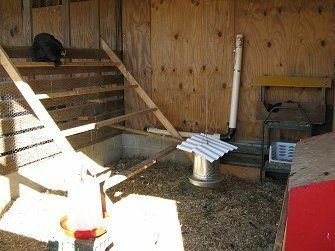 I use this end one as a grow out coop and have a pen for them with poultry wire but take it down when I want them to free range. 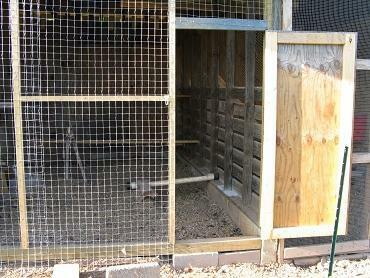 And this is the inside of the middle coop. this is just about exactly what I am looking to build. 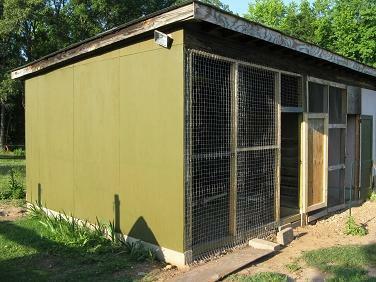 How many chickens do you keep in there? Can you say more about the removable run? Do you also have supply storage built in? What is on the front? Is it hardware cloth?